Tersartan 80 mg tablet number 10- instructions for use, pharmacological properties, indications and contraindications. auxiliary substances: meglumine, sodium hydroxide, povidone, polysorbate 80, mannit (E 421), magnesium stearate. tablets from white to almost white, without shell, capsule-shaped, with "T" and "L" prints on either side of the fault line on one side and an impression of "40" (for tablets of 40 mg) or "80" for tablets of 80 mg) on the other side. Simple preparations of angiotensin II antagonists. Code ATX C09C A07. Telmisartan is a specific antagonist of the angiotensin II receptor (type AO 1), acting upon oral administration. Having a high affinity, telmisartan replaces angiotensin II at the site of its connection with the receptor subtype AT 1, responsible for the action of angiotensin II. Telmisartan does not show any partial AO1 receptor activity as an agonist. Telmisartan selectively binds to the AO1 receptor for a long period. The drug does not demonstrate affinity for other receptors, including AO2 and other less well characterized AT receptors. 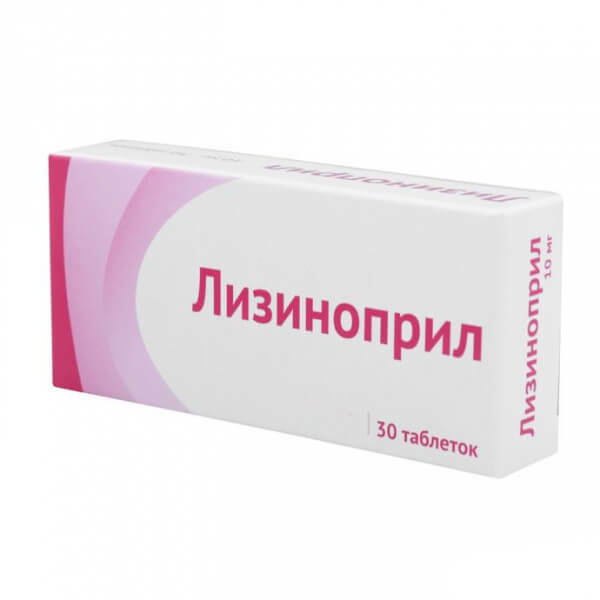 The functional role of these receptors is unknown, as well as the effect of their possible excessive stimulation with angiotensin II, the level of which increases telmisartan. Telmisartan reduces the level of plasma aldosterone. Telmisartan is not inhibited by human renin plasma, nor does it block the ion channels. Telmisartan does not inhibit ACE (kinase II), which also breaks down bradykinin. Thus, do not expect an increase in adverse reactions associated with bradykinin. In humans, telmisartan in a dose of 80 mg almost completely suppresses the effect of angiotensin II on increasing blood pressure. The oppressive effect lasts more than 24 hours and is still observed at 48 hours. After the first dose of telmisartan, the antihypertensive effect gradually begins to manifest itself within 3:00. The maximum decrease in blood pressure is usually achieved in 4-8 weeks after the initiation of therapy and persists for prolonged therapy. The antihypertensive effect persists for more than a day after the dose, including the last 4:00 before the next dose, as shown in the outpatient measurement of blood pressure. This is repeatedly confirmed by the ratio of the residual effect to the peak, which is more than 80% after doses of 40 and 80 mg of telmisartan in placebo-controlled clinical trials. There is a clear relationship between the dose and the time to restore the baseline systolic blood pressure (SBP). Data on diastolic blood pressure (DBP) are contradictory. In patients with arterial hypertension, telmisartan reduces both systolic blood pressure and diastolic blood pressure, and does not affect the pulse rate. The contribution of diuretic and natriuretic action of the drug to its antihypertensive activity has not yet been determined. The effectiveness of telmisartan in lowering blood pressure is comparable to other drugs, representing other classes of antihypertensive drugs (clinical studies comparing telmisartan amlodipine, atenolol, enalapril, hydrochlorothiazide and lisinopril). With the sudden cessation of therapy with telmisartan, blood pressure gradually returns to the level that was before the treatment, for several days without signs of reverse arterial hypertension. In clinical studies with a direct comparison of two antihypertensive drugs, cases of dry cough were much less common with telmisartan than with ACE inhibitors. Telmisartan is rapidly absorbed, although the amount absorbed is different. The mean absolute bioavailability of telmisartan is approximately 50%. When telmisartan is used with food, the area under the concentration-time curve (AUC 0 -∞) in the range from 6% (at a dose of 40 mg) to 19% (at a dose of 160 mg) decreases. After 3:00 after application, the concentration of telmisartan in blood plasma and when taken on an empty stomach, and when taken with food is the same. It is expected that a slight decrease in AUC will reduce the therapeutic effect. There is no linear relationship between dose and plasma concentration in the plasma. C max and to a lesser extent AUC increase disproportionately at a dose of 40 mg.
Telmisartan binds to a considerable extent with plasma proteins (> 99.5%), mainly with albumin and alpha-1 acidic glycoprotein. The average volume of distribution (V dss) in a state of equilibrium is approximately 500 liters. Telmisartan is metabolized by conjugation of the parent compound to glucuronide, the conjugate has no pharmacological activity. Telmisartan is characterized by a bioexponential pharmacokinetic curve with a terminal half-life of more than 20 hours. The maximum concentration in the blood plasma (C max) and to a lesser extent the area under the concentration-time curve (AUC) increase disproportionately to the dose. There is no evidence of a clinically significant accumulation of telmisartan with the recommended dose. In women, plasma concentrations were higher than in men without significant effect on efficacy. After ingestion, telmisartan is almost completely excreted with feces, mostly unchanged. The cumulative excretion of the drug with urine is <1% of the dose. The total blood plasma clearance (CL tot) is high (approximately 1000 mL / min) compared to the blood flow through the liver (about 1500 mL / min). When comparing female and male patients, a difference in plasma concentrations of C max and AUC was found, which is 3 and 2 times higher in women, respectively. The pharmacokinetics of telmisartan does not differ in elderly patients and patients under the age of 65 years. In patients with mild, moderate and severe impairment of renal function, the concentration in the blood plasma was doubled. However, low plasma concentrations were observed in patients with dialysis-associated renal failure. In patients with renal insufficiency, telmisartan is largely bound to blood plasma proteins, so it can not be excreted by dialysis. The half-life does not change in patients with impaired renal function. Pharmacokinetic studies of patients with impaired hepatic function demonstrated an increase in bioavailability to almost 100%. The half-life does not change in patients with impaired liver function. type II diabetes mellitus with a diagnosed lesion of target organs. Hypersensitivity to the active substance or to any auxiliary substance of the drug. Pregnant women or women planning to become pregnant (see Sections "Features of use", "Use during pregnancy or lactation"). Obstructive diseases of the bile duct. Contraindicated simultaneous use of telmisartan and aliskirenvmisnih products in patients with diabetes mellitus or renal dysfunction (GFR <60 ml / min / 1.73 m 2) (see Sections "Interaction with other drugs and other interactions" and "Pharmacological properties"). With the simultaneous use of telmisartan and digoxin, average increases in peak concentrations of digoxin in plasma (by 49%) and minimal concentrations (by 20%) were noted. At the beginning of admission, in case of dose adjustment and discontinuation of telmisartan, digoxin levels should be monitored to maintain them within the therapeutic range. As with other drugs that suppress the renin-angiotensin-aldosterone system, telmisartan can provoke hyperkalemia (see section "Features of application"). The risk may increase if treated in combination with other agents that can also provoke hyperkalemia (salt substitutes containing potassium, potassium-sparing diuretics, ACE inhibitors, angiotensin II receptor antagonists, non-steroidal anti-inflammatory drugs (NSAIDs, including selective COX-2 inhibitors), heparin , immunosuppressants (cyclosporin or tacrolimus), and trimethoprim). Cases of hyperkalemia depend on the associated risk factors. The risk increases with the above therapeutic combinations. Especially high risk with combination with potassium-sparing diuretics and in combination with salt substitutes containing potassium. Combination with ACE inhibitors or NSAIDs, for example, is less risky, provided that care is taken with the application. Potassium-sparing diuretics or potassium supplements. Angiotensin II receptor antagonists, such as telmisartan, reduce the loss of potassium caused by diuretics. Potassium-sparing diuretics such as spironolactone, eplerenone, triamterene or amiloride, nutritional supplements containing potassium or potassium-containing salt substitutes can lead to a significant increase in potassium concentration in the blood serum. If concurrent use is shown through documented hypokalemia, patients should use these drugs with caution and with frequent monitoring of potassium levels in serum. Lithium. With the concomitant use of lithium with ACE inhibitors and with angiotensin II receptor antagonists, including telmisartan, a reversible increase in lithium plasma concentration and toxicity were noted. If the use of such a combination is necessary, it is recommended to carefully monitor the level of lithium in the blood serum. NSAIDs (eg acetylsalicylic acid in anti-inflammatory doses, COX-2 inhibitors and nonselective NSAIDs) can reduce the hypotensive effect of angiotensin II receptor antagonists. In some patients with impaired renal function (eg, in patients with dehydration or elderly patients with impaired renal function), concomitant use of angiotensin II receptor antagonists and COX depressants can lead to further impairment of renal function, including possible acute renal failure, which is usually reversible. Thus, this combination should be used with caution, especially in elderly patients. Patients should be adequately hydrated. It is necessary to monitor the kidney function after the onset of concomitant therapy and periodically afterwards. In one study, simultaneous use of telmisartan and ramipril led to a 2.5-fold increase in AUC 0-24 and C max for ramipril and ramiprilate. The clinical significance of this observation is unknown. Diuretics (thiazides or loop diuretics). Preliminary treatment with high doses of diuretics such as furosemide (loop diuretic) and hydrochlorothiazide (thiazide diuretic) can lead to a decrease in the level of fluid (dehydration) and the risk of developing arterial hypotension at the beginning of treatment with telmisartan. It should be taken into account with simultaneous application. Other antihypertensive drugs. The ability of telmisartan to lower blood pressure can be increased by the joint use of other antihypertensive agents. Clinical evidence has shown that the dual blockade of renin-angiotensin (RAAS) by combined use of ACE inhibitors, angiotensin II receptor blockers, or aliskiren is associated with a higher incidence of side effects such as hypotension, hyperkalemia, and decreased renal function (including acute renal failure) compared with the use of a single RAAS-acting agent (see the sections "Features of Use", "Contraindications" and "Pharmacological"). Given the pharmacological properties of baclofen and amifostine, these drugs can be expected to enhance the antihypertensive effect of all antihypertensive agents, including telmisartan. In addition, orthostatic hypotension may worsen due to alcohol use, the use of barbiturates, drugs and antidepressants. Pregnancy. During pregnancy, angiotensin II receptor antagonists should not be started. If continued therapy with angiotensin II receptor antagonists can not be considered extremely necessary for a patient who is planning a pregnancy, she should switch to alternative antihypertensive therapy, has an established safety profile for use during pregnancy. When pregnancy is established, treatment with angiotensin II receptor antagonists should be stopped immediately and, if necessary, started with alternative treatment (see Sections "Contraindications" and "Use during pregnancy or lactation"). Telmisartan should not be given to patients with cholestasis, obstructive gallbladder disorders, or severe impairment of liver function, as telmisartan is mainly excreted with bile. In such patients, we can expect a decrease in hepatic clearance of telmisartan. Telmisartan can be used with caution only in patients with mild to moderate liver dysfunction. There is an increased risk of severe hypotension and renal failure if patients with bilateral renal artery stenosis or stenosis of the artery of one functioning kidney use drugs that affect the renin-angiotensin-aldosterone system. It is recommended to carry out periodic monitoring of serum potassium and serum creatinine level when using telmisartan in patients with impaired renal function. There is no experience of prescribing telmisartan to patients after recent kidney transplantation. Symptomatic arterial hypotension, especially after the first dose of telmisartan, may occur in patients with a reduced volume of fluid and / or sodium that appear after active diuretic therapy, salt restriction in diet, diarrhea, or vomiting. Such conditions should be eliminated before the use of telmisartan. Before using telmisartan, the volume of intravascular fluid and / or the sodium level should be normalized. Due to the inhibition of renin-angiotensin-sensitive individuals, especially when combining drugs that affect this system, there have been cases of hypotension, fainting, hyperkalemia and changes in kidney function (including acute renal failure). The double blockade of renin-angiotensin (for example, when ACE inhibitors are added to angiotensin II receptor antagonists) is not recommended for patients who already have blood pressure control, it should be limited to certain specific cases with careful control of kidney function (see Sections "Interaction with other medicinal means and other types of interactions "and" Pharmacological "). If a double blockade is considered absolutely necessary, it should only be performed under the supervision of a specialist and under the condition of constant careful monitoring of kidney function, electrolytes and blood pressure. ACE inhibitors and angiotensin II receptor blockers should not be used concurrently in patients with diabetic nephropathy. In patients whose vascular tone and renal function are predominantly dependent on the activity of renin-angiotensin (eg, patients with severe congestive heart failure or kidney disease, including renal artery stenosis), treatment with drugs that affect this system, such as telmisartan, has been associated with the emergence of acute hypotension, hyperaemia, oliguria, or acute renal failure, which was rare (see "Adverse Reactions" section). Patients with primary aldosteronism usually do not respond to antihypertensive drugs that suppress the renin-angiotensin system. Thus, the use of telmisartan is not recommended. 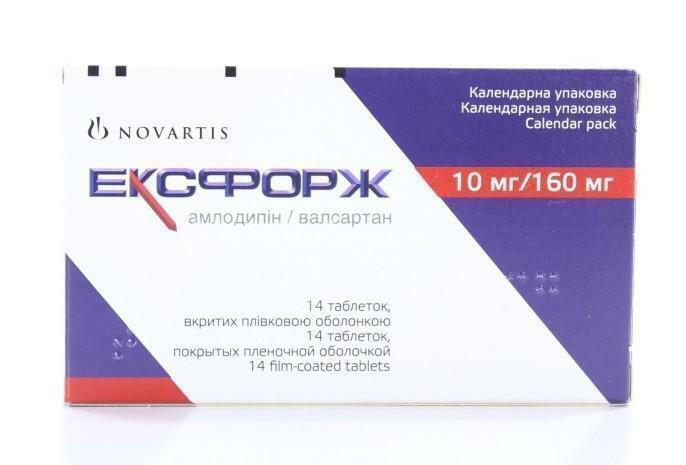 As with other vasodilators, should be used with caution in patients with stenosis of aortic or mitral valves or hypertrophic obstructive cardiomyopathy. Diabetic patients who are treated with insulin or hypoglycemic drug. During treatment telmizartanom in these patients may develop hypoglycemia. These patients should be monitored blood glucose levels and this should be taken into account in the correction dose of insulin or antidiabetic medicines. In patients with diabetes, cardiovascular risk (patients, patients with diabetes, with concomitant coronary artery disease), the risk of myocardial infarction deaths and sudden cardiovascular death may be higher in treatment with antihypertensive drugs such as receptor antagonists of angiotensin II, and ACE inhibitors. In patients with diabetes mellitus, coronary artery during concomitant diseases may be asymptomatic and therefore they can be undiagnosed. Patients with diabetes should be carefully evaluated, e.g., stress testing, to identify and treat diseases associated coronary arteries before assign drug. The use of drugs affecting renin-angiotensin-aldosterone system, may cause hyperkalemia. Elderly patients with renal failure, diabetes mellitus, in patients who are concurrently receiving other medications that may increase the levels of potassium and / or intercurrent diseases patients can be fatal hyperkalemia. Before addressing the issue of the simultaneous use of drugs that affect the renin-angiotensin-aldosterone system, should weigh the benefits and risks. Diabetes mellitus, renal dysfunction, age> 70 years. Combination with other drugs affecting renin-angiotensin-aldosterone system and / or application of the potassium-containing additives. Drugs that can induce hyperkalemia include salt substitutes with potassium, potassium-sparing diuretics, ACE inhibitors, angiotensin II receptor antagonists, nonsteroidal antiinflammatory drugs (NSAIDs, including selective COX-2 inhibitors), heparin, immunosuppressants (cyclosporin or tacrolimus), and trimethoprim . Intercurrent condition, particularly dehydration, acute cardiac decompensation, metabolic acidosis, renal impairment, a sudden deterioration in renal condition (e.g. infectious diseases), cell lysis (e.g., acute limb ischemia, rhabdomyolysis, severe injury). It is recommended to carefully control the level of potassium in patients at risk. ACE inhibitors, telmisartan and other angiotensin II receptor antagonists are less effective in lowering blood pressure in patients blacks than in people of other races, probably due to the fact that patients with hypertension Negroid races more often have low levels of renin. When applying any antihypertensive excessive fall in blood pressure in patients with ischemic cardiomyopathy or ischemic cardiovascular disease could result in a myocardial infarction or stroke. 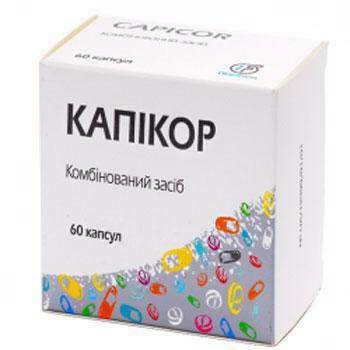 The medicament use is contraindicated to pregnant women or planning pregnancy. If during treatment with this agent confirmed the pregnancy, its use must be stopped immediately and, if necessary - to replace another drug approved for use in pregnant women (see section "Contraindications" and "application features."). No relevant data on the use telmizartana pregnant women. Epidemiological study of risk of teratogenicity result of the use of ACE inhibitors during the first trimester of pregnancy has not been conclusive, but we can not exclude a small increase in risk. Although there are no controlled epidemiological data on risk of teratogenicity in the application of angiotensin II receptor antagonists, such risks may exist for this class of drugs. It should not begin therapy with angiotensin II receptor antagonists during pregnancy. If continued therapy of angiotensin II antagonists is considered necessary, and the patient is planning to become pregnant, it is recommended to replace treatment on antihypertensive treatment with the established safety profile in pregnancy. If pregnancy is established, treatment with angiotensin II receptor antagonists should be stopped immediately and start appropriate alternative therapy. As is known, the use of angiotensin II receptor antagonists for II and III trimester pregnancy causes fetotoxicity in humans (renal failure, oligogidramnioz delay skull formation) and neonatal toxicity (renal failure, hypotension, hyperkalaemia). If the use of angiotensin II receptor antagonists started from the second trimester of pregnancy Refer a hold ultrasound examination of the kidneys and the bones of the skull of the fetus. Status of newborns whose mothers have taken angiotensin II receptor antagonists, should be carefully monitored for the presence of hypotension (see. Sections "Contraindications" and "application Features"). 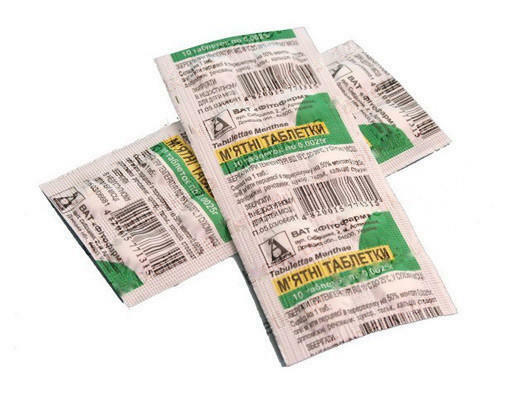 Telmizartan not recommended during breast-feeding because it is not known, it is released into breast milk in humans. Preference is given to alternative treatment with a better studied safety profile, especially when feeding a newborn or premature baby. While driving and other mechanisms necessary to consider the possibility of dizziness or hypersomnia during antihypertensive therapy, including TELSARTANom. Tablets telmizartana recommended orally once a day with a liquid, regardless of the meal. Telmizartan must be stored in the blister through the hygroscopic properties of the tablets. Tablets removed from the blister immediately before administration. The usual effective dose - 40 mg once per day. Some patients may have a therapeutic effect on the dose of 20 mg per day. If it is not possible to achieve the desired dose telmizartana blood pressure can be increased to a maximum - 80 mg per day. Alternatively possible to use telmisartan in combination with a thiazide diuretic hydrochlorothiazide, which has the ability to further reduce blood pressure together with telmizartanom. In deciding whether to increase the dose should be borne in mind that the maximum antihypertensive effect is usually achieved in a period of 4 to 8 weeks after initiation of therapy. The recommended dose is 80 mg once a day. It is not known whether telmizartana dose below 80 mg to be effective in reducing cardiovascular morbidity. 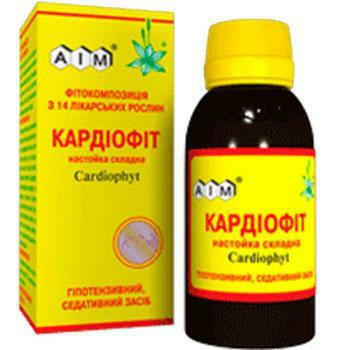 At the beginning of therapy telmizartanom to reduce cardiovascular morbidity recommended careful monitoring of blood pressure, and may require appropriate dose adjustment of drugs to lower blood pressure. Patients with mild to moderate renal impairment require no dose adjustment. Experience in patients with severe renal function and patients on hemodialysis is limited. below the recommended initial dose of 20 mg telmizartana for this category of patients (see. "Application Features" section). Telmizartan contraindicated in patients with severe hepatic impairment. Patients with mild to moderate hepatic impairment dose should not exceed 40 mg 1 time per day (see. Section "Properties application"). No dose adjustment in elderly patients is not required. The safety and efficacy Telsaran drug in children (under 18 years) have not been studied. Information on overdose in humans is limited. Symptoms. The most notable events in overdose telmizartanom were hypotension and tachycardia also reported bradycardia, dizziness, increase in serum creatinine in serum and acute renal failure. Treatment . Telmizartan not eliminated from the body by hemodialysis. Patients should be carefully monitored and assign symptomatic and supportive therapy. Treatment depends on the time elapsed since the adoption of an overdose, and the severity of symptoms. The measures proposed include vomiting and / or gastric lavage. Activated charcoal may be useful in the treatment of overdose. It should frequently check the level of electrolytes, and serum creatinine. If a patient came hypotension, it should adopt the supine position, and you need to quickly launch measures to restore fluid and electrolyte balance. Adverse events are distributed in frequency as follows: very often (≥1 / 10); often (≥1 / 100 to <1/10); rare (≥1 / 1,000 to <1/100); liquid (≥1 / 10,000 to <1/1000); very rare (<1/10 000). In each group, the frequency side reactions are presented in order zmenshennnya severity. Liquid: hypoglycemia (in diabetic patients). Liquid: stomach discomfort, dry mouth. Liquid: impaired hepatic function / liver disorder. Liquid: erythema, angioneurotic edema (and deaths), urticaria, drug-induced dermatitis, chronic dermatitis, eczema. Liquid: arthralgia, pain in extremity, tendon pain (symptoms similar to tendinitis). Rare: renal failure including acute renal failure. Liquid: symptoms similar to influenza. liquid: increased uric acid in the blood, elevated liver enzymes, increased levels of creatine kinase (CK) levels, reduced hemoglobin. In clinical studies, an increased incidence of sepsis was observed with telmisartan compared with placebo. This phenomenon can be random or related to the unknown mechanism of today. This adverse reactions were reported as common in patients with controlled blood pressure who were treated telmizartanom to reduce cardiovascular morbidity in addition to standard therapy. Most cases of abnormal liver / liver function disorders observed in post-marketing period in patients-Japanese. Japanese patients are more likely to have such adverse reactions. Stored in the original packaging of the reach of children at a temperature not higher than 25 ° C.
10 tablets in a blister, blister 1 or 3 in a carton.